Description (From Goodreads): Without a morsel of exaggeration, its publisher describes this debut novel as "a comedy of manners set in Victorian London full of werewolves, vampires, dirigibles, and tea-drinking." 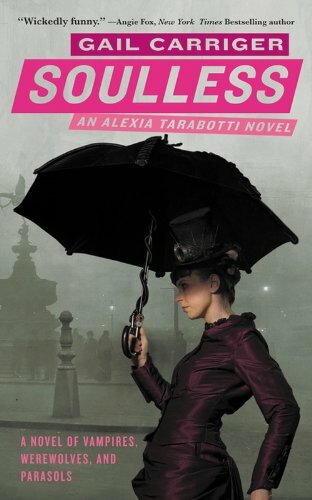 At the center of Soulless's "parasol protectorate" is Miss Alexia Tarabotti, a young woman who lacks not only a suitor but also a soul. And those are not her only problems: When she accidentally kills a vampire, it begins a series of events that she must set out to resolve without the help of any proper authorities. A charming mass market original. I must say, I had a marvelous time reading Soulless. It was my first official steampunk read (at least that I know of) and I think it was done beautifully; I am now on the steampunk bandwagon. The pacing was perfect and there was plenty of action and excitement. I love the scenes in which the characters marvel at the new inventions of the time – my personal favorite is when Alexia is first introduced to an elevator. She simply does not know what to make of it. With Alexia, Carriger creates a fascinating heroine that is charming, spunky, hilarious and completely unique. Alexia sticks out of her Victorian society like a sore thumb; she is half Italian (how scandalous! ), has a large nose, is rather plumb and oh yes, she was born without a soul. 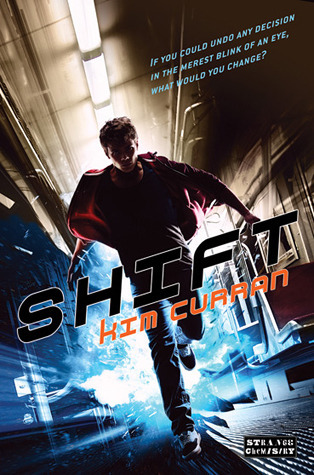 She keeps this last bit under wraps, but other supernatural’s obliviously know of her condition – when she comes into contact with them they return to a human state. She has settled into life as a spinster and seems to be content with herself. She is an absolute pistol - she is outspoken, determined and a completely entertaining. She speaks her mind and makes no apologies for her character. Basically, she is freaking awesome. 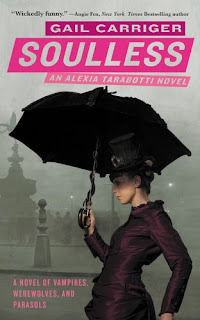 Alexia gets herself into a few different predicaments early on in soulless and Carriger crafts an intriguing, well-developed mystery that keeps readers on their toes. But what really makes this book so remarkable is how incredibly fun it is. The story is packed with a number of memorable characters – including a flamboyant vampire, a gruff werewolf and an incredibly endearing woman who has a thing for some seriously ugly headgear. Alexia’s love interest, Lord Conall Maccon is her perfect match. Honestly, I love these two. They go round and round with their bickering and teasing, but they take everything in stride. They are both extremely strong characters and they let each other be themselves. I absolutely hate it when the male love interest stifles the heroine; trying to “protect” her. Maccon has faith in Alexia and he lets her do what she needs to do. They are truly equals and of course, have some fabulous chemistry. Soulless was an extremely fun and entertaining read that I think will appeal to readers of a number of different genres. It’s got supernatural folks for urban fantasy readers, it takes place during Victorian London for those history buffs and has a great romantic pairing for romance readers. If you haven’t picked up a copy of this gem yet, I would seriously suggest it – it will have you in stitches and you will be unable to put it down! I'm so glad you loved it! It really does have something for everyone, doesn't it? And you're so right about Alexia being fascinating. Love her character! I have recommended this book to everyone I know and can't wait for the fourth edition and to see how she makes him gravel and what ind of trouble she'll get herself into.